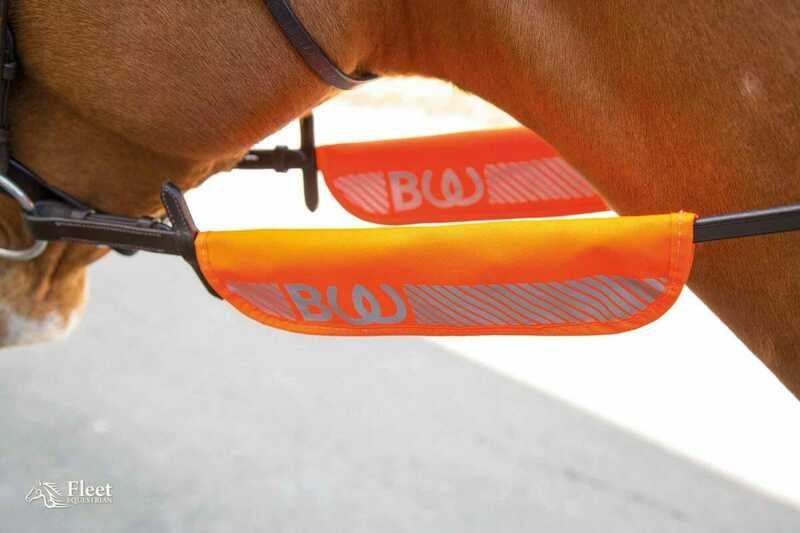 Bright Orange with reflective bands, be seen and be safe. Essential for when out with your horse. Easy fit touch and close fastening. 2 in a pack. One size.